(08-28-2018, 09:22 AM)KevinL Wrote: New stop platforms being readied on Block Line at Strasburg - this is in preparation for the 201 serving the intersection when Ion launches. The foreground one's bigger than usual, the entire boulevard is nearly impassable! 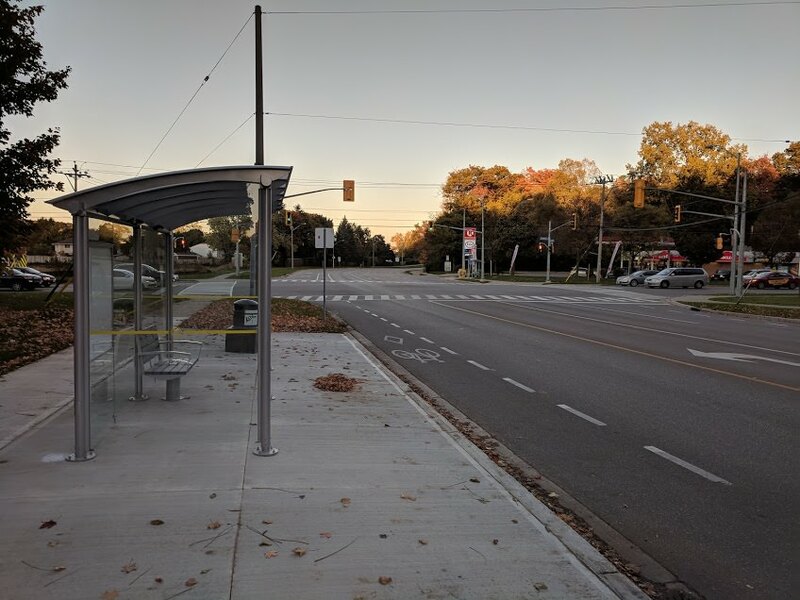 A month and a half later, this is finally fully complete, with sidewalk, stop platform, and shelter. Also, the crosswalks have zebra stripes! Looks good! Thanks for the pictures! I was driving behind a bus today and I could see through the rear window that it said "Pinebush Station" on the destination board. Will there be a park and ride at Conestoga station too? This is a huge miss in my book, and I know I'm in a huge minority on this forum where everyone thinks Parking = Evil, but other cities I've visited have all had huge Park-and-Ride lots and they're fantastic for those who don't have the luxury of living downtown (or are visiting). Having a Park-and-Ride allows those who live on the outskirts the opportunity to visit a city without driving, which I only see as a good thing. I wonder why. Couldn't come to an agreement with the mall? I think you're right Canard, I think you're not going to get everyone out of cars and into trains, so make it easy to do whichever you choose, or both. And that means parking. I don't so much object to it as I think it isn't necessarily a priority in terms of allocating spending. Waterloo Region just isn't that hard to get around by car, so the majority of people who are already driving into the region are probably going to prefer to do the last mile by car too. That said, I think park and rides makes a lot more sense with the Phase 2 expansion. Didn't the original plan have a park-and-ride at Northfield station? Edit: According to this link: "A Park n’ Ride facility will be located here". It doesn't say when, though. Fairview Mall has always disliked the transit situation, and not been very co-operative with GRT (according to GRT staff I've spoken to). I believe building the park and ride was part of the expropriation settlement the region and the mall came to, because the mall wanted to protect their parking. Conestoga on the other hand has generally been transit supportive, and is fully aware that transit represents a huge number of customers for the mall. 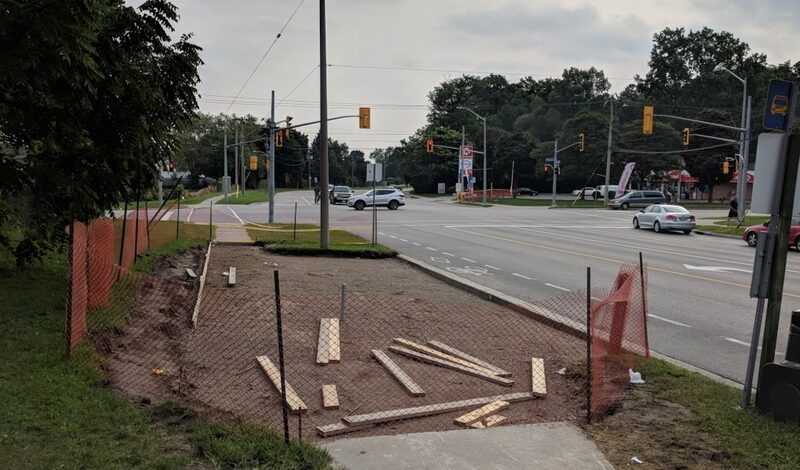 I wouldn't be surprised if their management is simply that bit more progressive about such issues, and realizes that 99% of the time Conestoga has far more parking than necessary, and isn't concerned about occasional park and ride users. (10-22-2018, 12:13 PM)Canard Wrote: … everyone thinks Parking = Evil, …. I don’t think Parking = Evil, but I do think that parking minima = evil. The first gives people a choice; the second restricts the choices people may make. Coming from Elmira I'd much rather park at the mall and take Ion than try and find parking in town. The other option would be to extend the hours of GRT route 21 to match Ions. (10-23-2018, 10:29 AM)Elmiran Wrote: Coming from Elmira I'd much rather park at the mall and take Ion than try and find parking in town. I've never understood this. Not that I think you shouldn't do this, certainly I'm a transit supporter, but when I am driving, I would definitely not park at a park and ride and take transit. I find zero difficulty in finding parking even downtown or uptown. I do concede that parking DT and some lots uptown might be more expensive than a transit pass if parking for a month, I suppose, although this is only true for solo occupant vehicles. I simply don't think the business case is there to support large park and ride lots, given the ease of driving and parking in our city. As others have pointed out, this could change with Phase 2. As a driver I’d much rather park in the outskirts and take transit downtown. I absolutely hate driving in cities and downtowns, and it’s nearly impossible to find parking. I’ve done this all my life in virtually every city I’ve ever visited. : shrug : YMMV. Just providing my two cents as others have.